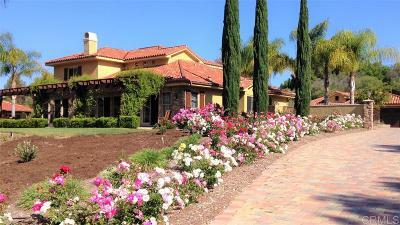 Welcome home to Two Saddle Creek Road inside Rolling Hills Estates, North San Diego's finest guarded community. Enter the private gated drive and follow the pavers flanked with roses to the fountain graced circular turnaround. 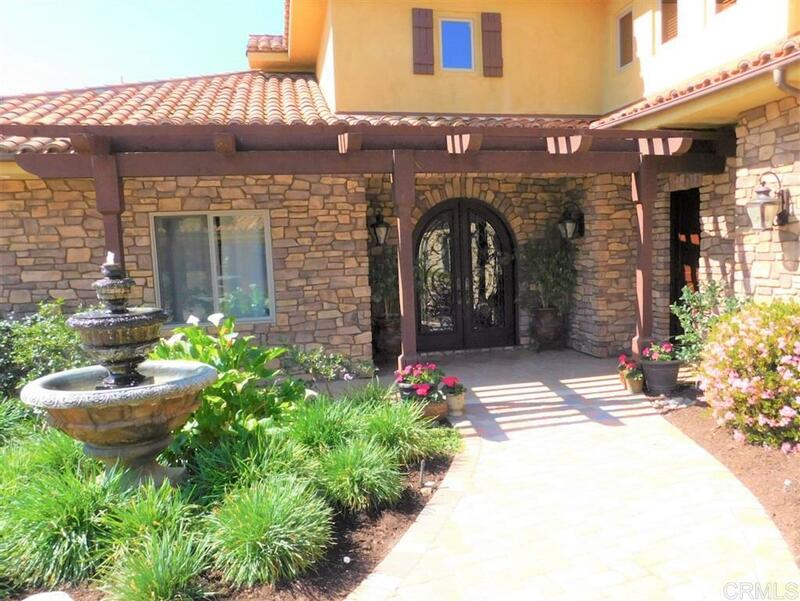 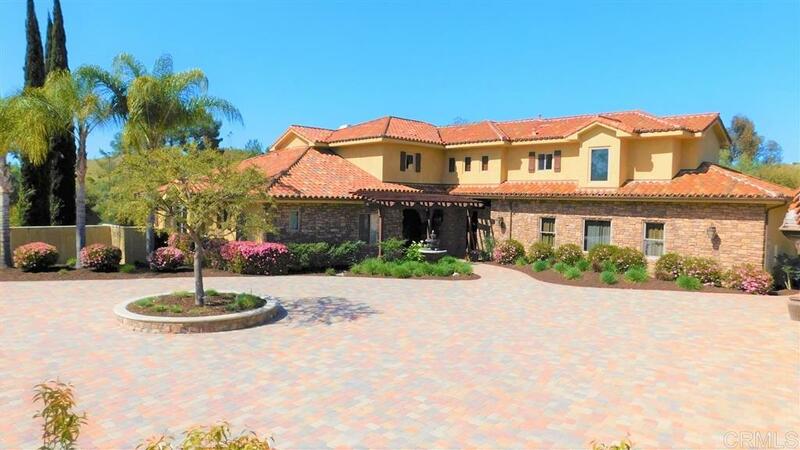 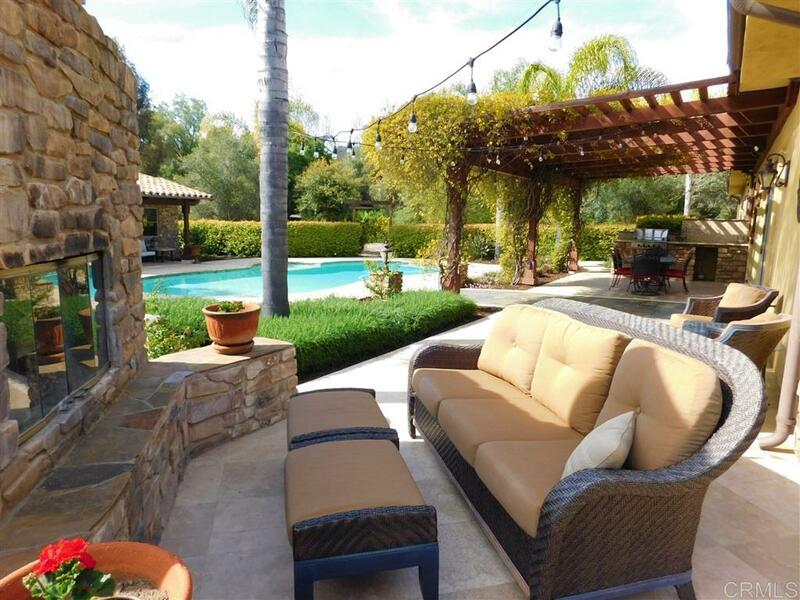 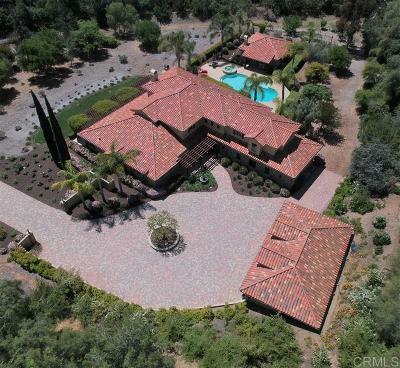 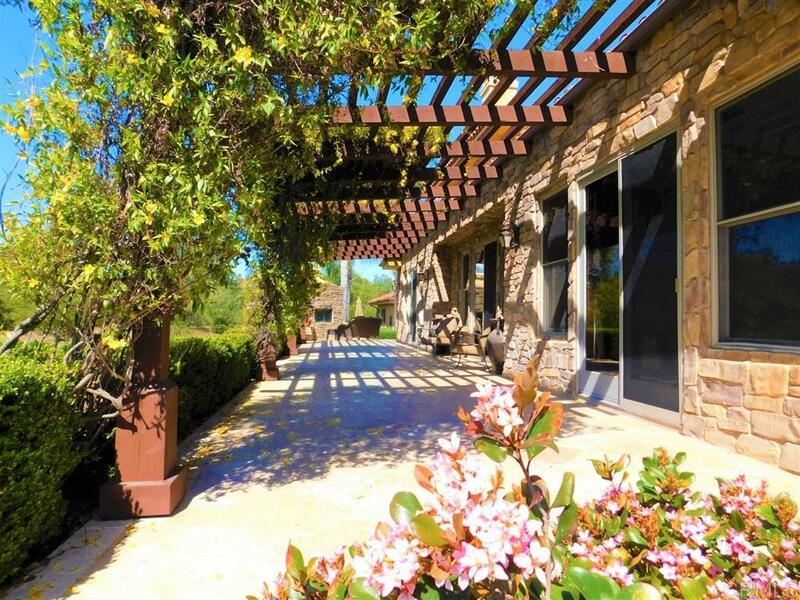 This beautiful Tuscan inspired home features nearly 6,000 square feet of unrivaled luxury with incredible, 2.6 acres of water wise landscaping, pool, hot tub and even a guest house! 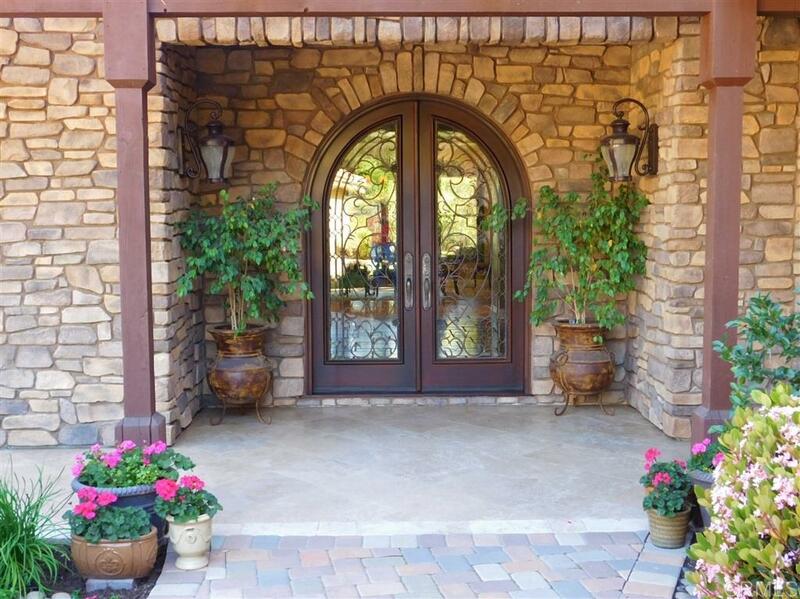 (see supplement), Natural lighting, high ceilings and curved staircase are waiting behind massive dual rounded front doors. 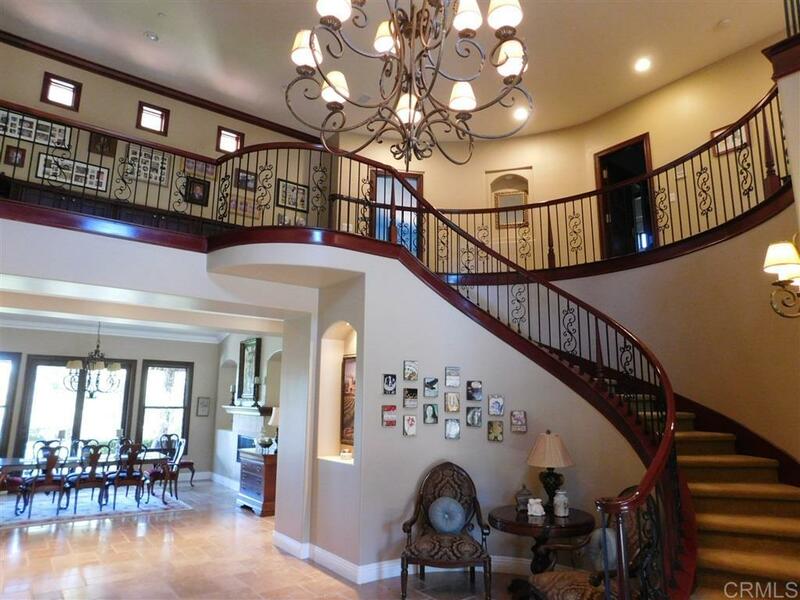 Expansive entry way features 20-foot-tall ceilings with chandelier and sweeping staircase with art nooks and custom lighting. 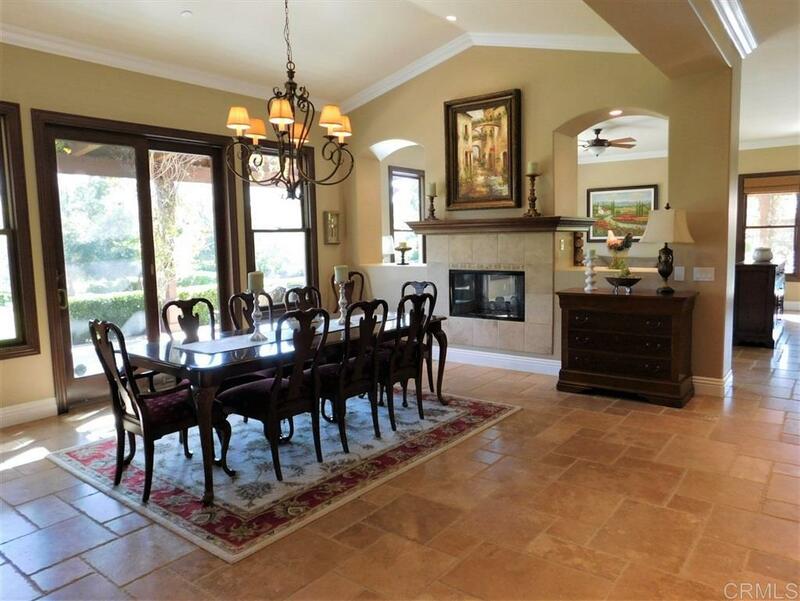 Stunning custom travertine floors accent fine masonry throughout the main floor. 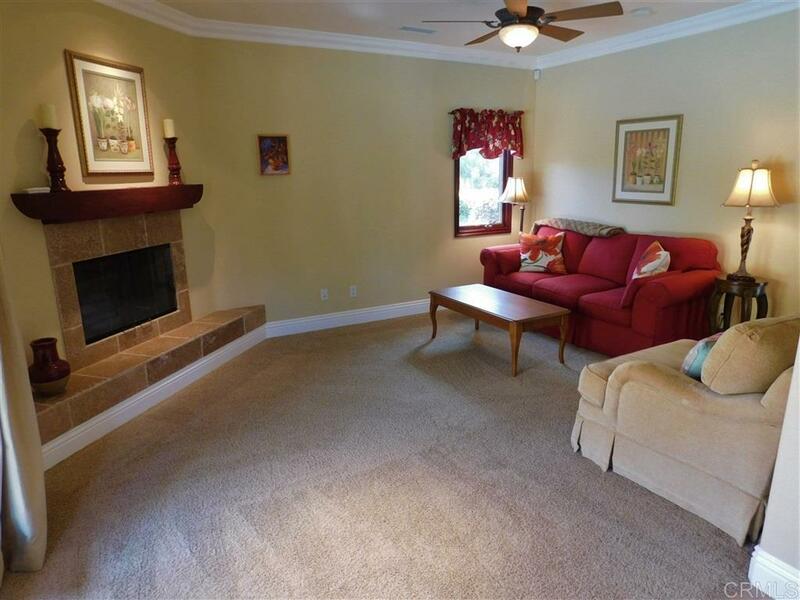 Electric gas fireplace features two sides to join the family and dining room with warmth. 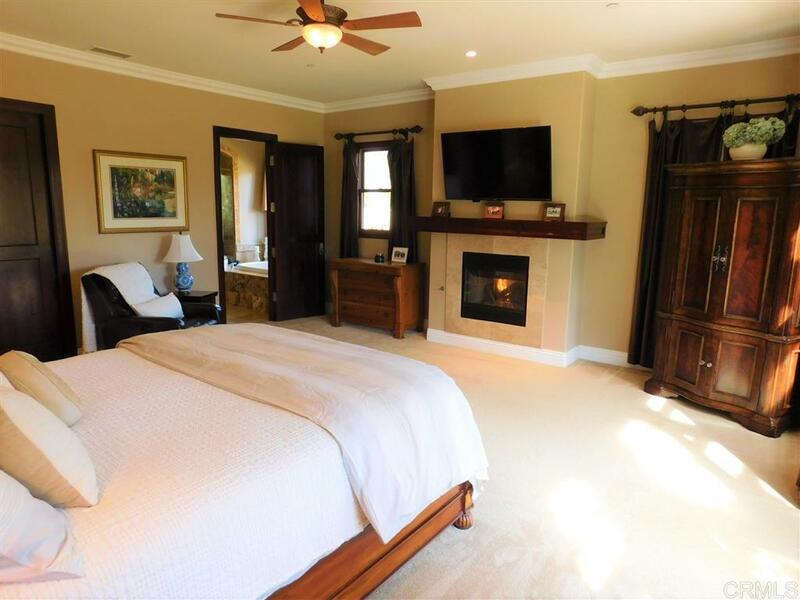 Expansive downstairs master bedroom with gas fireplace, two walk-in closets. 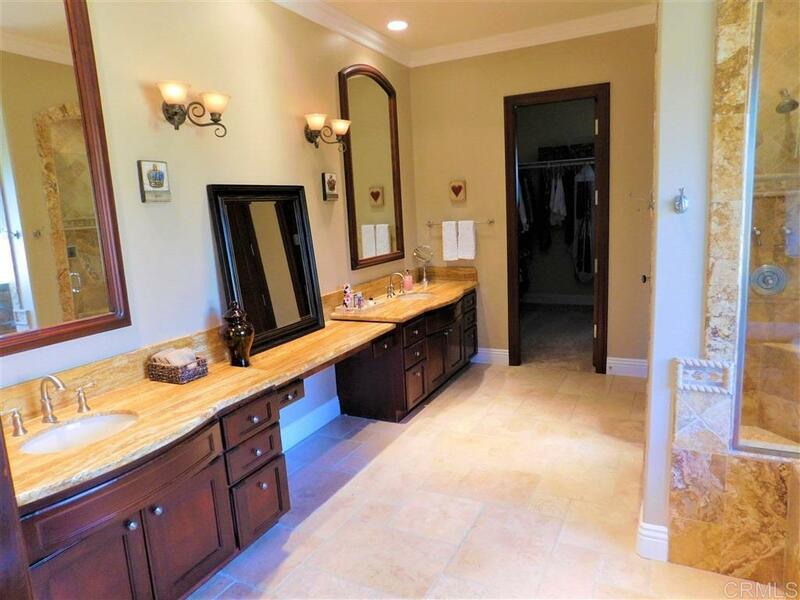 Master bath features expansive granite counter and stonework. 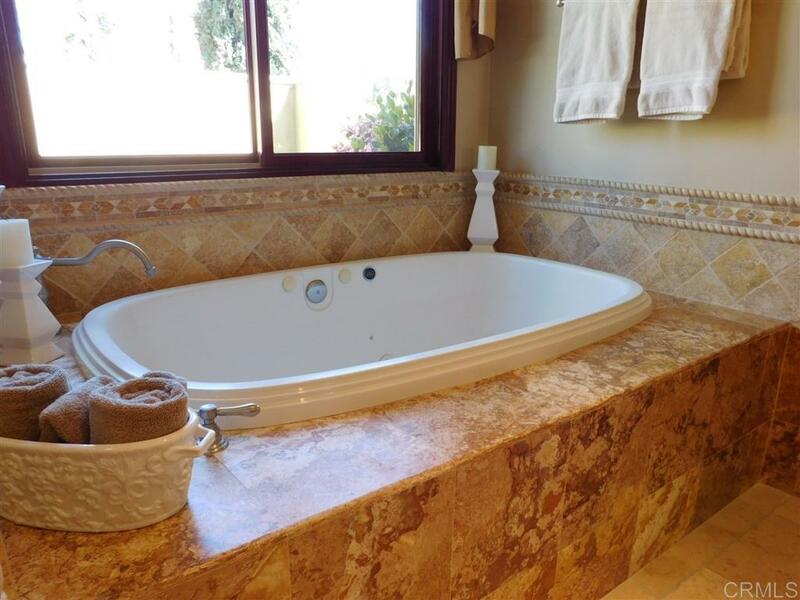 Glass shower and spa tub. 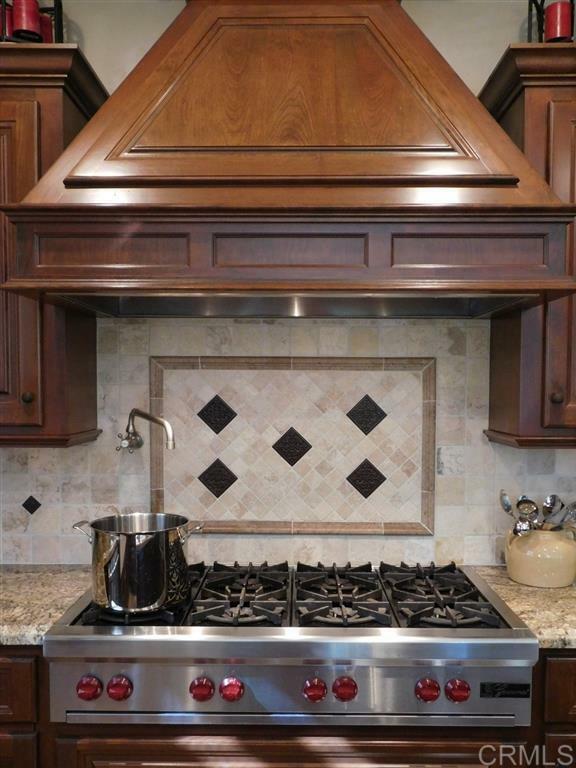 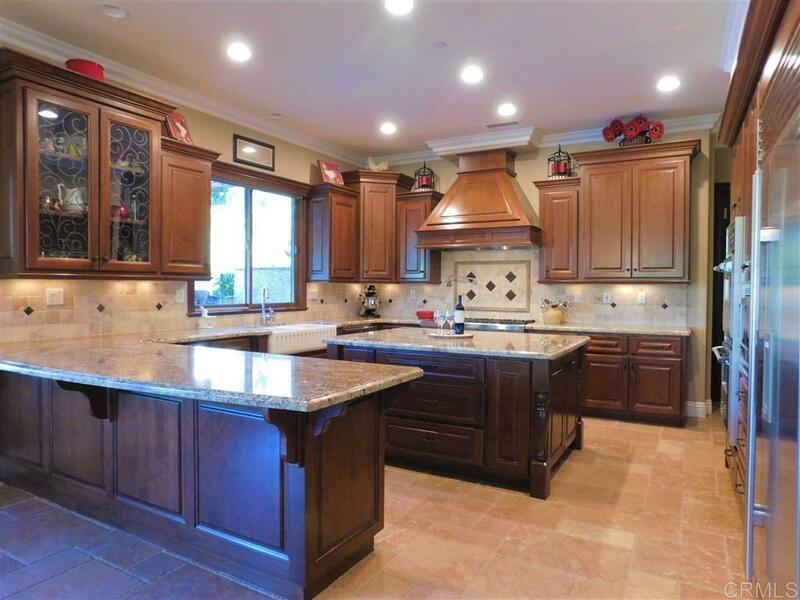 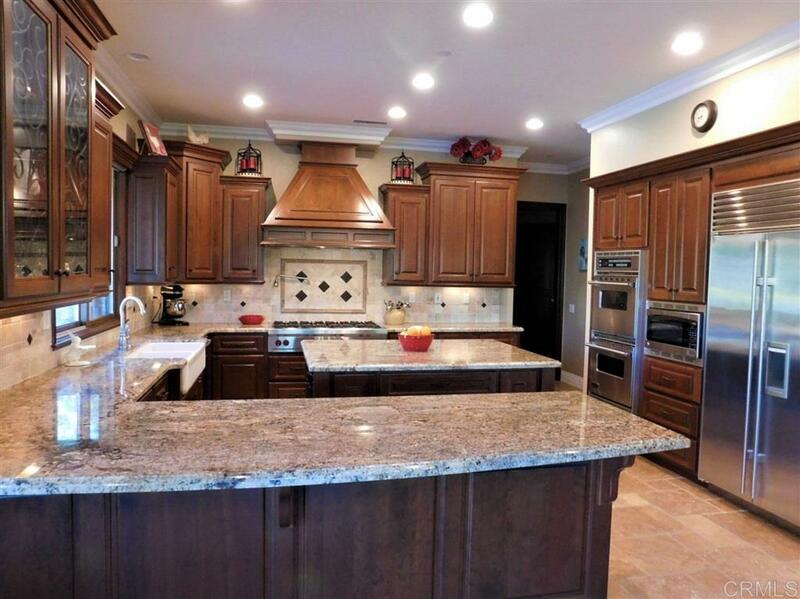 Gourmet kitchen is a chef's dream, custom granite counter tops and island, breathtaking solid wood cabinets, Sub Zero refrigerator, dual stainless Viking ovens with warning drawer, 48â Wolf gas cook top with pot filler and vented hood. Even a large walk-in pantry for convenience. 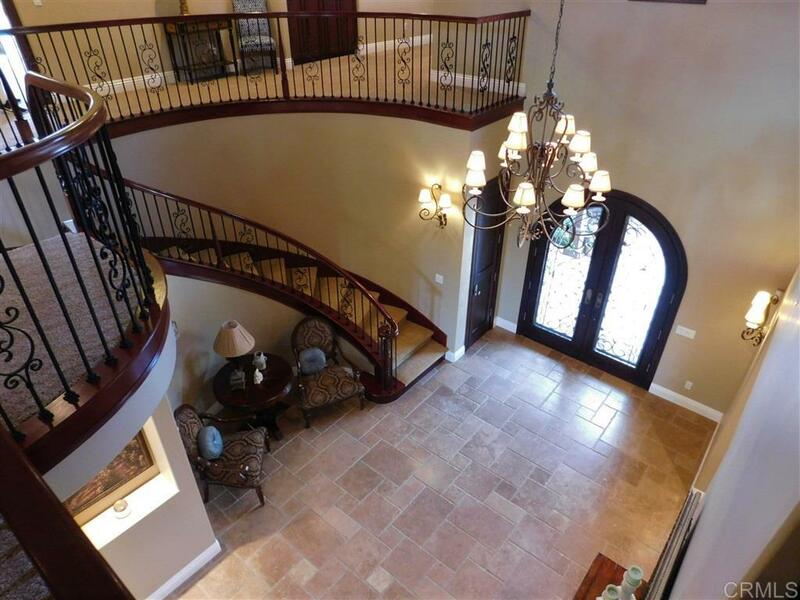 Ascend the curved, flowing wrought iron staircase to three large bedrooms, study nook, two full baths; plus another bonus room for even the largest family. 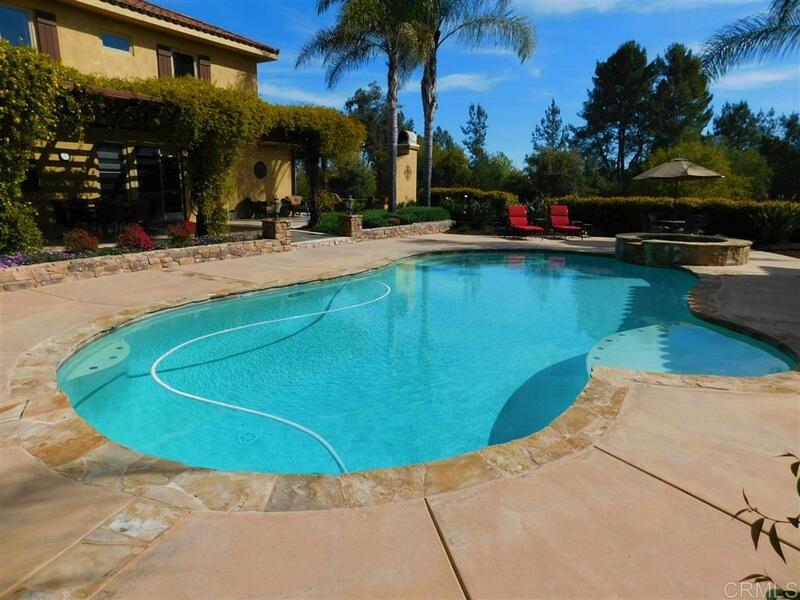 Flagstone edged pool features raised hot tub and expansive patio for entertaining. 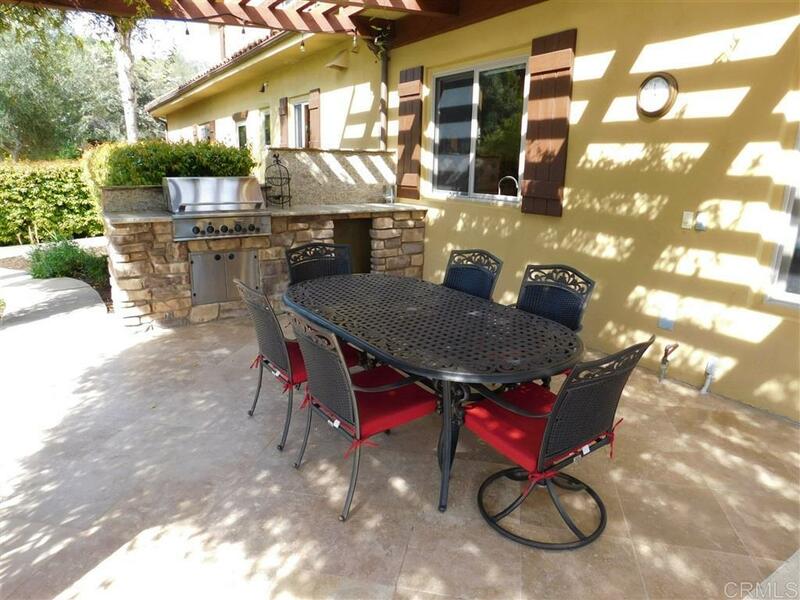 Built-in stainless BBQ and outdoor fireplace will be your favorite resort in your own backyard. 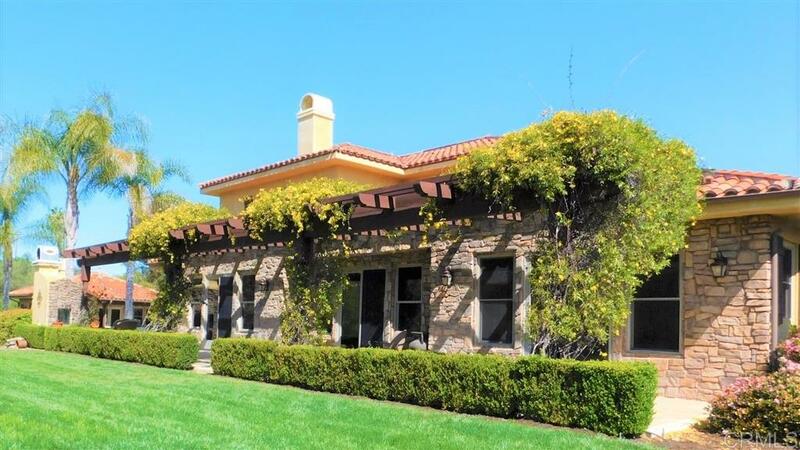 Even the roomy guesthouse adjacent to the pool has its own kitchen, living room and full bath, A four-car garage with dormers and tile roof perfect for the car aficionado. Central sprinkler system controls for the main residence. 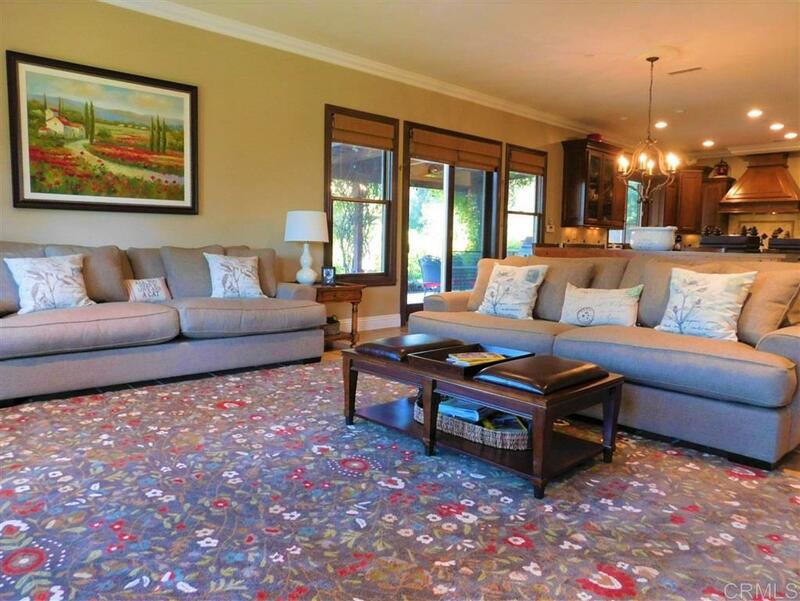 Automatic landscape water system, central vacuum, air conditioning and alarms system make Two Saddle Creek ready to move in. 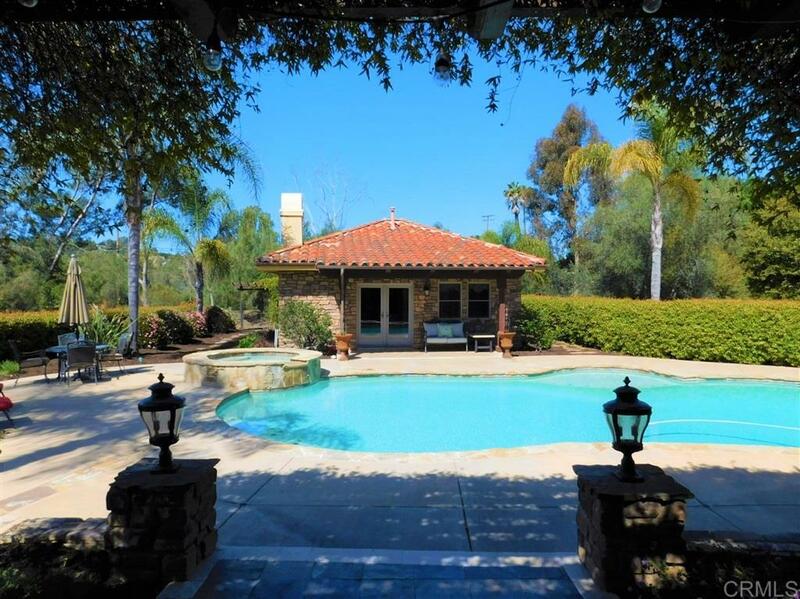 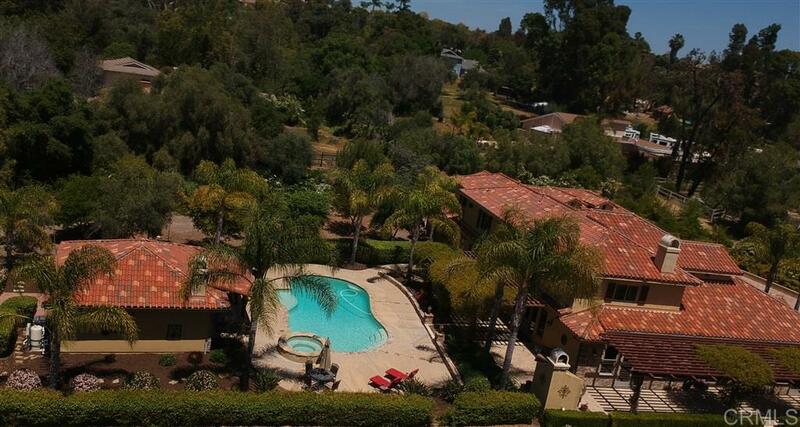 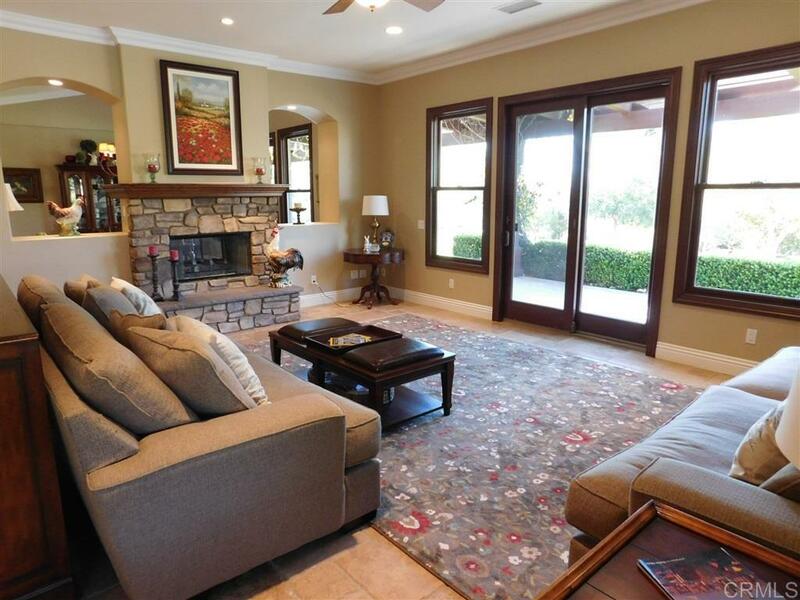 This home is on the equestrian trails of Rolling Hills and has easy access to the stable facility. Horses welcome here. 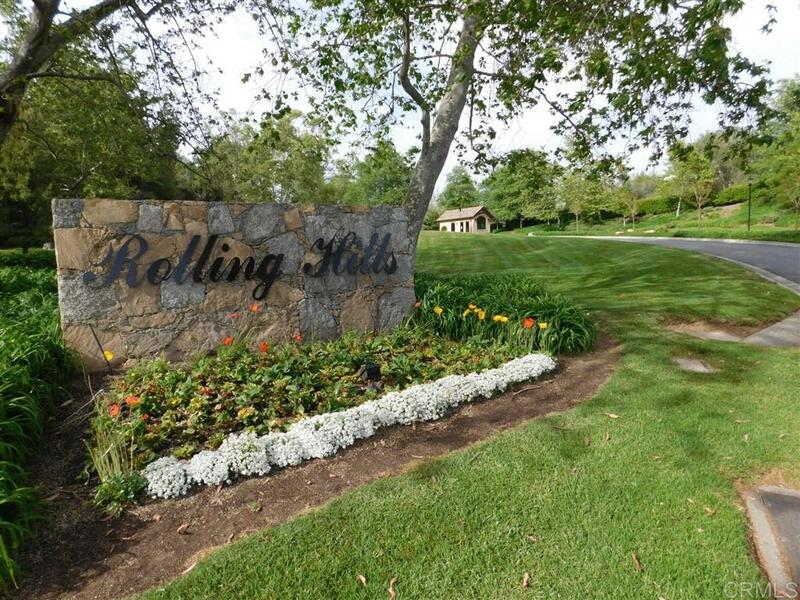 RV parking also available in community lot.